The Holy Spirit Convent: a thorny path of the relic. The history has prepared hard tests to the Holy Spirit Convent: the abode passed to the Uniates, then was rebuilt as a prison, and even demolished. 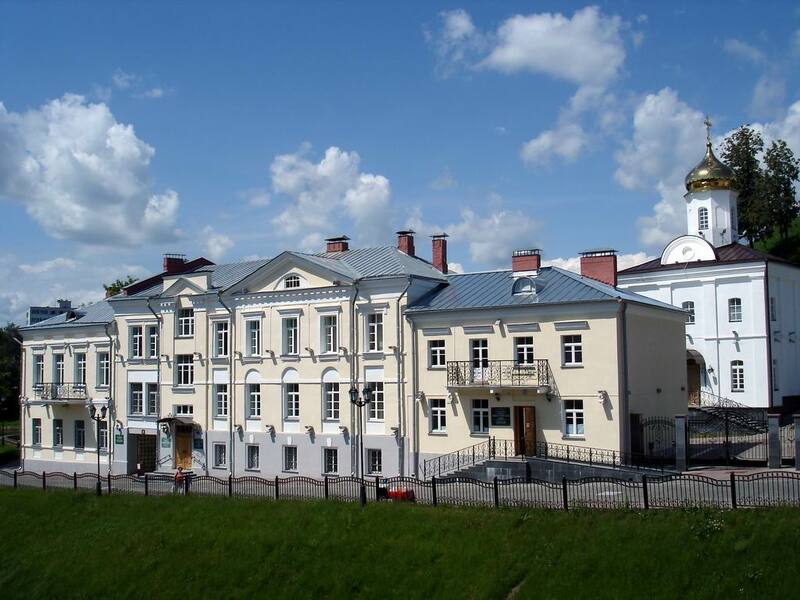 Although the time has put everything in its place – and today the reborn convent is a bright landmark of Vitebsk with elegant classic proportions and rich spiritual content. The culture of Vitebsk is so rich in tradition, monuments of architecture and art, that sometimes you wonder how easily the city streets accommodate the whole precious heritage. Examining each undistinguished corner of the city, you become gradually convinced: the question of what to see in Vitebsk, in fact, is out of place. And the thing is in an unprecedented spiritual heritage of the city, where a specific role belongs to the architecture of Vitebsk: if you look closely, you can see how skillfully and harmoniously each building is woven into a single colorful canvas of the amazing city. The churches in Vitebsk are especially vivid and memorable, which seem to pierce the blue sky with their domes. But some argue that you should certainly see the Holy Spirit Convent in Vitebsk. The history of its creation goes back to the ancient times, but it only adds more mystery and significance to the monument of the culture of Vitebsk. The Holy Spirit Convent was built in the late XIV century at the initiative of Juliana of Tver, the second wife of Prince Olgerd. Although some sources claim that the idea of creating a convent in Vitebsk belongs to his first wife – Mary of Vitebsk and that the adobe was built in the early XIV century. The history of Vitebsk keeps silent on any specific dates, but it is truly known that in 1392 Juliana took the schema (a vow of monks) in the Holy Spirit Convent and soon after it died. In 1618, the Catholic authorities almost passed this Orthodox convent in Vitebsk to the Uniate-Basilian. A war between Russia and the Polish-Lithuanian Commonwealth prevented a rapid outcome. Although the military events moved aside the implementation of this idea only for a time – the history of Vitebsk testifies that before the XVIII century, the convent after all became Uniate. However, in 1839 the Holy Spirit Convent was again returned to the Orthodox. At that time the convent in Vitebsk was an adobe with cells for nuns in two-story stone buildings. There were household buildings nearby. The convent also operated a paid boarding school for girls. By 1855 the adobe accounted for only six nuns – and gradually the convent declined. Soon the place of repentance became a place of punishment: inside the Holy Spirit Convent they opened a women's prison. 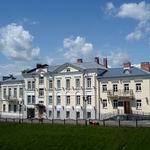 The convent had not long bared the new image: the public rebelled - and the authorities were forced to transfer the prison in another place, and in Vitebsk convent they decided to open a female diocesan school. It happened in 1872. Certainly, all the convent buildings were rebuilt, and in 1902, instead of the main building of the former convent, a new three-story building of the college rose. And since 1918, the provincial executive committee had been housed here. Years passed. The convent seemed to be erased from the history of Vitebsk. But in May 2001, the Synod of the Belarusian Orthodox Church blessed the revival of the Holy Spirit Convent. Today, the convent is located in the building of the Spiritual and Cultural Centre. It also provides space for cells for the nuns. There built a canteen and a church in honour of St.Constantinople Princess Olga. 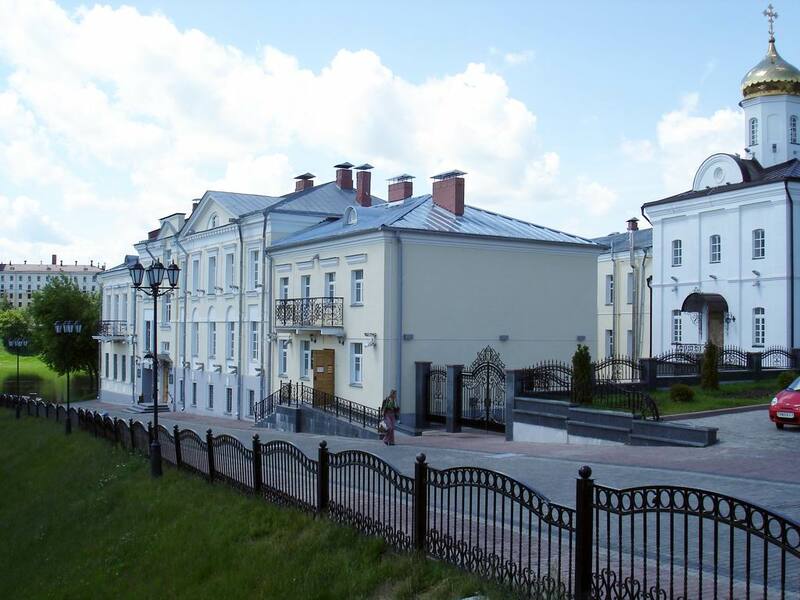 By the way, the Holy Spirit Convent is located in a cozy place among other architectural pearls of Vitebsk. The Holy Assumption Cathedral and the Resurrection Church rushed to the sky close to the majestic domes. The City Hall will reveal all the secrets of mysterious Vitebsk. And Yakub Kolas Drama Theater will once again highlight the identity of the culture of Vitebsk. More detailed information about these attractions of Vitebsk can be read in city portal VitebskCity.by. The address of the Holy Spirit Convent: 15 Tolstoy street, Vitebsk.